Styled with eowyn knit top . 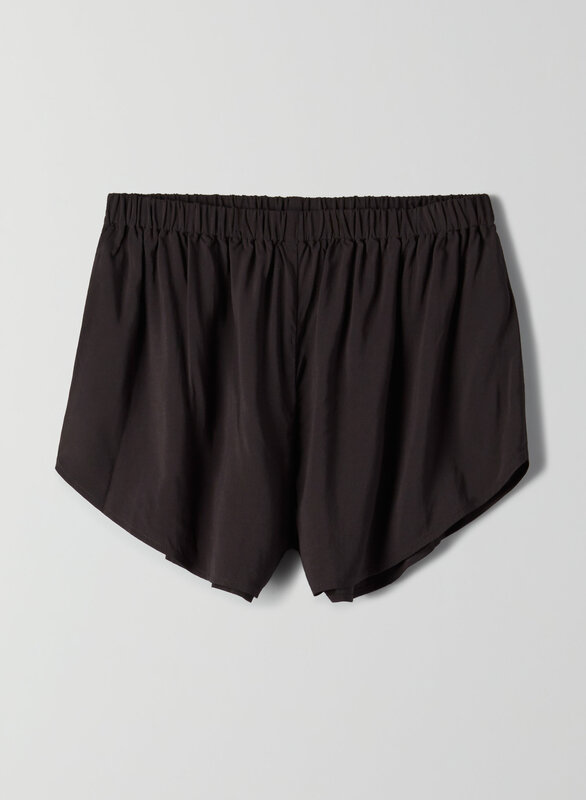 This is a lightweight short with a high-cut leg. It's made with a drapey woven fabric with a matte finish.